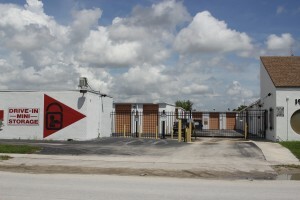 At Drive In Mini Storage in North Miami, you will find that our property has everything you need such as clean, quality and accessible storage. We offer personal storage for area residents, business storage, file storage & record storage for our commercial tenants. Our storage spaces range in size from 4’ x 4’ to 10’ x 25’ garage bays. All are ground-level storage spaces with the option of Air Conditioned storage or non a/c spaces. Our office is open every day, and our team is here to answer any questions or concerns you may have regarding your North Miami storage with us.